1. How do I find a funding source? 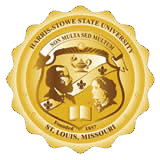 Contact Heather Bostic (bostich@hssu.edu) or Marc Dorfman (dorfmanm@hssu.edu) and ask for assistance in your search. 2. Once I have identified a funding source what are my next steps? a. Review the Request for Proposal (RFP) with the Office of Sponsored Programs (OSP) to determine compliance with university policies and procedures and to develop a timeline. b. Begin working on your draft proposal. The OSP will review draft proposals at any time. d. Meet with OSP staff to develop your budget. e. Prepare full proposal and submit to OSP at least five working days before the submission deadline. g. OSP will submit the proposal to the funding agency. 3. What is a letter of intent? A letter of intent simply allows the funding agency to estimate how many full proposals they will receive for a funding opportunity. The letter of intent is typically recommended but not required. Read the RFP carefully to determine if the letter of intent is required. 4. What type of format should I use when writing my grant proposal? Consult the RFP for your specific funding opportunity. Most RFPs are very specific in detailing the format that should be used in the grant proposal. If you follow this format and make it easy for a reader to find the components of the grant that are highlighted in the RFP, your proposal will receive a higher score than a proposal that does not follow the format set forth in the RFP and that forces a reader to search for the material requested. 5. What is the likelihood that my proposal will be funded? This varies by funding opportunity, but the number of awards that are expected to be made and the average award anticipated, is usually listed in the RFP. 6. How will I know if my proposal has been funded? A letter is typically sent to the President’s Office from the funding agency explaining if the proposal was funded or not funded. If your proposal was funded, an award letter will be included in this communication. The award letter specifies the amount of the grant, the start and end date of the grant and any other terms and conditions of the grant. If your proposal was not funded, readers’ comments are typically included in the communication. These comments can be quite helpful in preparing a grant application for the next funding cycle. Remember, if your proposal was not funded, it does not mean that it was not a great proposal. Grant writing is a very competitive process and you may miss being funded by just a few points. If you carefully review readers’ comments and incorporate their suggestions into your next proposal, it is likely that your proposal will be funded. 1. Who is the university’s authorized representative? Only the University President, or his appointed representative is authorized to sign grant documents. 2. If I need help with the required forms, whom should I contact? Contact the OSP for assistance in filling out these forms. 1. Who should I contact for assistance in preparing my budget? Contact Heather Bostic (bostich@hssu.edu) or Marc Dorfman (dorfmanm@hssu.edu), for assistance in preparing your budget. 2. What is cost-sharing or a match? These are costs associated with the grant that the university has agreed to pay as its contribution to the project. These costs can be in the form of a cash match or in the form of a time and materials match. 3. What is an in-kind match? An in-kind match is time and or services donated. A dollar value is assigned to the donated time or services. If you include in-kind contributions in your budget, you must document each donation of time/services. - Time spent working on the project for which the person is not paid. - Mileage not being reimbursed. - Donated supplies, equipment and public service. 1. I have received the award notice, what do I do now? A copy of the award notice needs to be taken to the OSP to be filed with the original application. OSP will ensure that the Business Office receives a copy so that an account can be set up for the grant program. 2. Who is responsible for monitoring the budget after the grant has been funded? The project director is ultimately responsible for monitoring all aspects of the grant, however, the Business Office will provide monthly budget reports to each project director. These budget reports help the project director track grant expenditures by budget category. 3. Who is responsible for submitting reports associated with the grant? The project director is responsible for preparing all reports associated with the grant. OSP staff and the Business Office will assist as needed in preparing these reports.